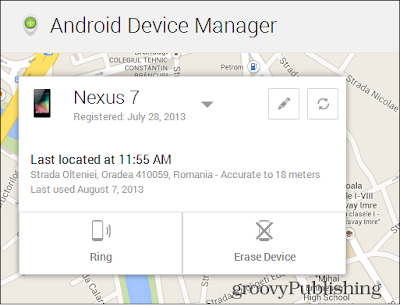 Android Device Manager was announced by Google recently, allowing you to find your lost device and remotely wipe your data stored on it similar to Find my iPhone on iOS. You may remember that the service has started showing up on Android devices a few days ago, but it didnt have the web interface to go with it, so you couldnt really use it. Well, the interface is now here, so you have everything you need to get things underway. 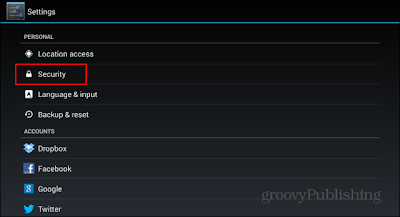 First of all, make sure that the service is enabled on your Android device go to Settings > Security. 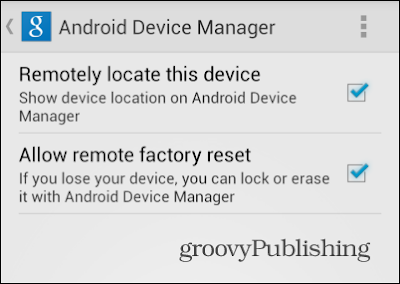 Now, make sure Android Device Manager is ticked. 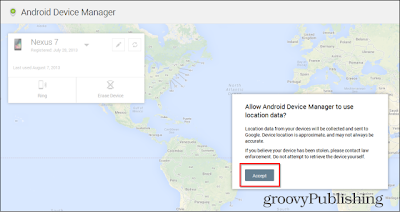 You can also control what Android Device Manager is allowed to do by going to Google Settings on your phone, then Android Device Manager. The menu youll find there allows you to choose what you want the service to do. 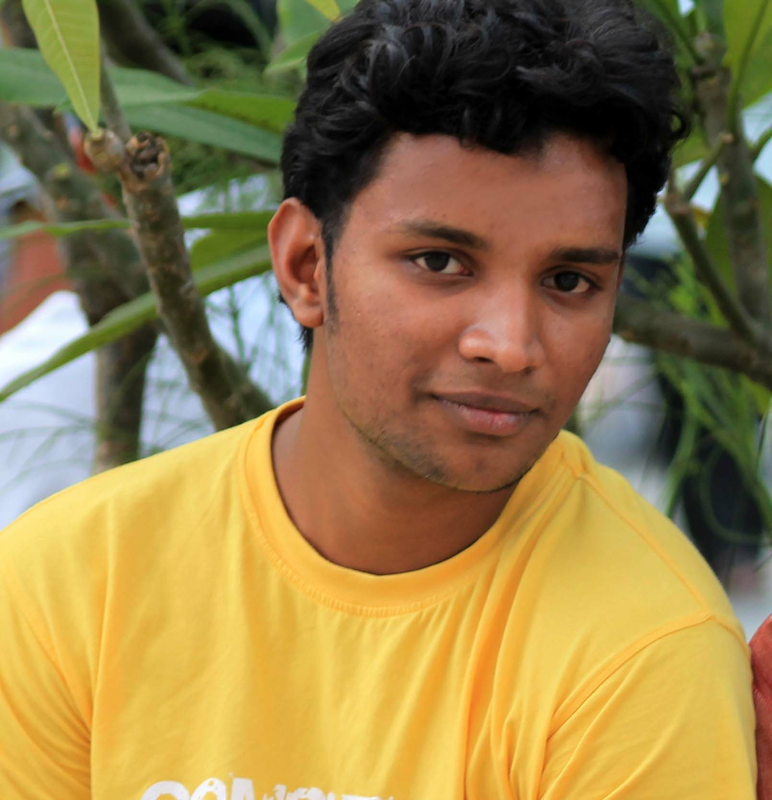 To get the most out of the service, I recommend selecting both options. 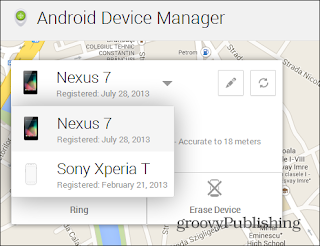 Once thats done, go to this address to find the web interface for Device Manger. Before you can do anything, youll need to allow the service to use your location information. Once youve done that, youll see a map with the location of your device on it. You can click the refresh button on the top right side to get the location again, while the one with a pencil symbol next to it will allow you to edit your devices name. For instance, if you and your wife both use LG G2 phones with the same Google account (so you dont get things confused). Im saying that because youre allowed to manage more than one device the list is available if you click the arrow next to the name of the current device. Now, lets see what this baby can do for us! First of all, you can click the Ring button to make your device play a tone until the power button is pressed. This is useful when you misplace your phone or tablet around the house and you dont have another phone from which to call it. If, however, youre sure youre not getting your device back anytime soon, you can press the Erase Device button think well and hard before you do that. 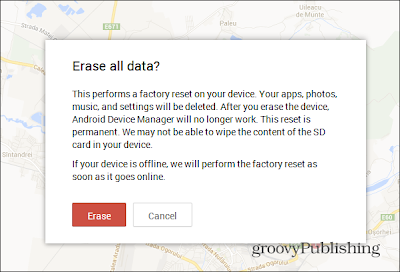 Once you press it, youll have to confirm the action, as seen below, after which a factory reset will be performed, deleting everything on the device which also stops the Android Device Manager from working. A cool thing to mention is that if the device is not online, the factory reset is performed the second it gets back online. This is a very welcomed feature that iOS users have enjoyed for years. Plus in Googles tradition, the service is easy to use and does just as advertised.